Yerkes director R. Paul Johnson, MD, has received funding from the Bill & Melinda Gates Foundation to examine gene expression in SIV-infected T cells, with the aim of finding signatures of latently infected cells. The Yerkes National Primate Research Center, Emory University, announced that it will receive Phase II funding through Grand Challenges Explorations, an initiative created by the Bill & Melinda Gates Foundation that enables individuals worldwide to test bold ideas to address persistent health and development challenges. 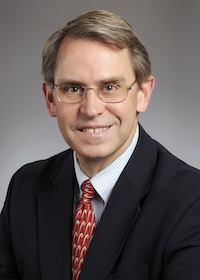 R. Paul Johnson, MD, director of Yerkes, will continue to pursue an innovative global health research project, titled "Single cell transcriptional profiling of latently infected CD4+ T cells." "I'm thrilled and grateful to have this support from the Bill & Melinda Gates Foundation to support our efforts to pursue a new approach to identify and better characterize the latent reservoir of SIV-infected T cells," says Johnson. "This research has the potential to reveal new information that can help us design novel strategies to treat HIV." In 2011, Johnson was awarded a Phase I Grand Challenges Explorations (GCE) grant. GCE Phase I recognizes individuals worldwide who are taking innovative approaches to some of the world's toughest and persistent global health and development challenges. GCE invests in the early stages of bold ideas that have real potential to solve the problems people in the developing world face every day. Phase II recognizes those ideas that have made significant progress toward implementation. Johnson's project is one of 14 Phase II Grand Challenges Explorations grants recently announced. In this continuation study, Johnson and his research team will use a novel approach involving a highly sensitive, high throughput single cell qPCR technique to analyze CD4+ T cells latently infected with simian immunodeficiency virus or SIV. CD4+ T cells, which play a key role in initiating the body's response to infections, can become latently infected with HIV or SIV, and persist despite years of treatment with antiviral drugs. The persistence of these latently infected cells represents one of the primary barriers to efforts to eradicate HIV from patients treated with antiviral drugs. The researchers will isolate the cells from lymphoid tissues of SIV positive rhesus macaques that are being treated with potent antiretroviral therapy and then couple the analysis with the identification of subsets of memory CD4+ T cells that are highly enriched for latently infected cells. "By analyzing expression of a panel of molecules that are differentially expressed on the surface of CD4+ T cells, we will identify novel cell surface biomarkers that, either alone or in combination, represent a distinct signature of latently infected cells," says Johnson. He continues, "The use of single cell transcriptional profiling represents a unique approach to address the fundamental challenges in characterizing latently infected reservoirs and should provide essential information necessary for the development of strategies for viral eradication." Grand Challenges Explorations is a U.S. $100 million initiative funded by the Bill & Melinda Gates Foundation. Launched in 2008, more than 1,070 projects in more than 60 countries have received Grand Challenges Explorations grants. The grant program is open to anyone from any discipline and from any organization. The initiative uses an agile, accelerated grant-making process with short two-page online applications and no preliminary data required. Initial grants of US $100,000 are awarded two times a year. Successful projects have the opportunity to receive a follow-on grant of up to US $1 million. In the fields of microbiology and immunology, infectious diseases, pharmacology and drug discovery, transplantation, neurologic and psychiatric diseases, as well as behavioral, cognitive and developmental neuroscience, Yerkes scientists use innovative experimental models and cutting-edge technologies to explore and test transformative concepts aimed at: preventing and treating viral diseases such as AIDS; designing novel vaccines for infectious diseases such as malaria and tuberculosis; enhancing the potential of organ transplantation and regenerative medicine; discovering new drugs and drug classes through high-throughput screening; defining the basic neurobiology and genetics of social behavior and developing new therapies for disorders such as autism and drug addiction; understanding the biology of neurodegenerative diseases, such Alzheimer's and Parkinson's diseases; and advancing knowledge about the evolutionary links between biology and behavior.